The U.S. Air Force’s second new GPS III satellite, bringing higher-power, more accurate and harder-to-jam signals to the GPS constellation, has arrived in Florida for launch. On March 18, Lockheed Martin shipped the Air Force’s second GPS III space vehicle (GPS III SV02) to Cape Canaveral for an expected July launch. Designed and built at Lockheed Martin’s GPS III Processing Facility near Denver, the satellite traveled from Buckley Air Force Base, Colorado, to the Cape on a massive Air Force C-17 aircraft. The Air Force nicknamed the GPS III SV02 “Magellan” after Portuguese explorer Ferdinand Magellan. 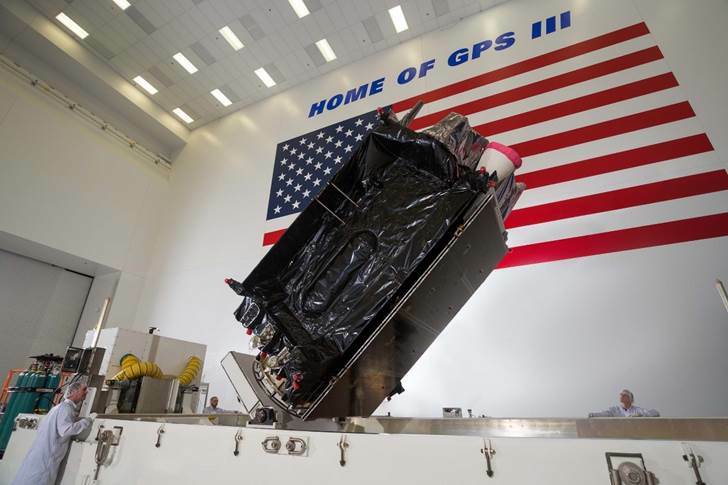 In September 2018, the Air Force selected Lockheed Martin for the GPS III Follow On (GPS IIIF) program, an estimated $7.2 billion opportunity to build up to 22 additional GPS IIIF satellites with additional capabilities. GPS IIIF builds off Lockheed Martin’s existing modular GPS III, which was designed to evolve with new technology and changing mission needs. On September 26, the Air Force awarded Lockheed Martin a $1.4 billion contract for support to start up the program and to contract the 11th and 12th GPS III satellite.